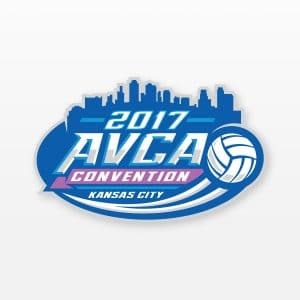 This course was created as a joint project with the Art of Coaching and BYOP® Founder Ruth N. Nelson who has amassed over 40 years of volleyball experience and expertise. Former athlete, teacher, innovator and coach Ruth N. Nelson has created a unique course series to ensure that a teacher, parent or coach can learn how to effectively teach youth the basic 4 individual volleyball skills and basic game strategies so that they become consistent high performers. The Mission and Philosophy of the BYOP® program is to provide youth who aspire to be the best they can be with the necessary volleyball skills and life lessons to reach their capabilities. Along with the training techniques is the engagement of parents and players. – Both participate in the physical portion of the session and provide feedback and error analysis. – Parents and players work side-by-side in order to more effectively learn the skills so that they can practice at home reinforcing the same cues …while improving their skills. – In addition, each gains the respect of the other because of the challenge of the sport, the commitment of time and the teamwork needed to fulfill each of their roles. This is A FUN Program in which to be involved! – Being exposed to volleyball at this young age may be a player’s and/or parent’s first venture into the sport. – Therefore, we want to make it an awesome and enjoyable learning experience for each of them as they learn sound fundamental skills, efficient and effective footwork and basic game strategies. – One of the greatest values of the BYOP® program is that it opens doors for young volleyball players and inspires them to pursue options they never knew they had! Great! Love seeing athletes, parents, and coaches work together to improve. After completing the BYOP® 101 course, I am encouraged by the possibilities of elevating the level of volleyball instruction for elementary aged children. As a coach who has worked with children in this age group, I can tell you that without a succinct method of training, volleyball instruction sessions can quickly turn into a chaotic mess. BYOP® 101 provides a sound method for keeping players and parents engaged in the instruction while also offering constant and consistent encouragement. As a club administrator who has seen countless children who have not been taught correct volleyball techniques, I see the BYOP® 101 course as a critical tool, not only for the development of youth, but for the development of teachers, parents and novice coaches who want to provide volleyball instruction. Finally, as a parent of two volleyball players, I would have loved to participate in a program such as BYOP® when my children were younger. I believe that if BYOP®101 had been available back then, I would have gotten involved in coaching and volleyball instruction much sooner. I’ve talked with a number of people who work in parks and recreation or other youth organizations such as The Boys & Girls Club and even PE teachers and after school programs who would love to offer volleyball programs for their youth, but have not had individuals who were qualified to instruct such programs. BYOP® 101 is the perfect course to spark youth volleyball program implementation. Why did I love the course so much? The content! I’ve taken courses in the past whose content did no more than provide visuals of a skill. The BYOP® course provided visual demonstration with detailed descriptions of “what” and “why” that followed along with the video in real time. Never once did I find myself wanting fast forward through boring instruction to “get to the point” as I’ve done with previous courses. I remained engaged by the content and found myself wanting more. Looking forward to future BYOP® courses!! The Art of Coaching BYOP® 101 course is very practical for those wanting to coach young volleyball players. I have never completed a course that is so thorough and applicable to coaching elementary age students. Ruth Nelson is full of wisdom and knowledge of the sport and is an expert on how to best teach fundamentals to kids. The athletes in the course respond to Ruth’s training which shows what she teaches and how she teaches it will work! Throughout the course, Ruth uses key words to teach and keep the attention of the athletes. The key words keep the athletes focused on each skill. So often as coaches we like to talk for five minutes, explaining every step of a fundamental to our athletes. Ruth uses clear, concise language to get the point across fast and in a way that is simple for young athletes to understand. This course was extremely helpful for my personal growth as a BYOP® certified instructor. I have trained with Ruth before and learned in person how she teaches, but this course was very helpful because I can’t be in Texas all of the time with Ruth. This course allows me to learn from Ruth even when I am not working directly with her. When I am going through a BYOP® session, it will be very useful to go back through the course and refresh my memory on how each fundamental should be taught. BYOP® is a unique youth volleyball program, unlike anything in the country. To have the BYOP® 101 course available on the Art of Coaching is a privilege! You get to learn from one of the most experienced, passionate coaches in the history of volleyball. You will not only learn how to teach the fundamentals of volleyball to young athletes but also how to hold their attention and gain their respect as a coach! The Art of Coaching BYOP® 101 course is worth your time if you are passionate about youth volleyball and furthering the sport! The detailed explanations were very helpful even to me who have been teaching Volleyball for seven years. Two most important things that stood out for me were specific language used for drills and instructions and simplistic approach to teach young athletes. The course definitely is imperative to those who will teach and introduce young athletes to Volleyball! The BYOP® 101 course is the essential course for teaching volleyball to players ages 5-10. It includes detailed, clear, and easy to follow videos. The videos are relevant to the topic being discussed and help viewers understand the skills and drills better. After each unit a short quiz is required, these quizzes reinforce learning and ensure viewers are engaged. 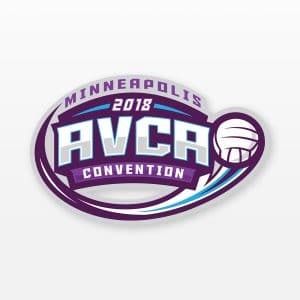 The course breaks down each skill perfectly and Ruth Nelson provides insight and knowledge about volleyball skills that are beneficial to athletes of all ages. Throughout my time mentoring for BYOP® I have found it easy to implement the key words and phrases that are emphasized during the course during practice and training. I have also seen how the players respond to these key words. The players understand the key words and the key words help the players improve their skills quickly and effectively.